Notre Dame sociologist Christian Smith’s latest book is one of two winners of the 2010 Cheryl Frank Memorial Prize from the International Association for Critical Realism (IACR). What is a Person? : Rethinking Humanity, Social Life, and the Moral Good from the Person Up (University of Chicago Press) presents a new model for social theory that embraces the best of our humanistic visions of people, life, and society. Smith, the William R. Kenan, Jr., Professor of Sociology, says he was thrilled to learn that his book had been selected. 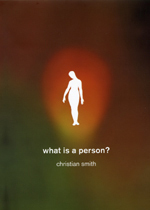 What is a Person? also recently won an honorable mention in the philosophy category at the 2010 American Publishers Awards for Academic and Scholarly Excellence (PROSE). 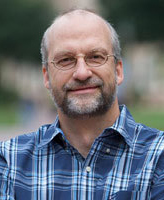 Smith specializes in the sociology of religion and is director of both the Center for the Study of Religion and Society at Notre Dame and the Center for Social Research. He also leads the University’s Science of Generosity initiative. Established in 2009 with a $5 million grant from the John Templeton Foundation, Science of Generosity brings together the often disconnected and diverse approaches to this topic in order to research generosity in all its forms. Originally published by Kate Cohorst at al.nd.edu on April 11, 2011.